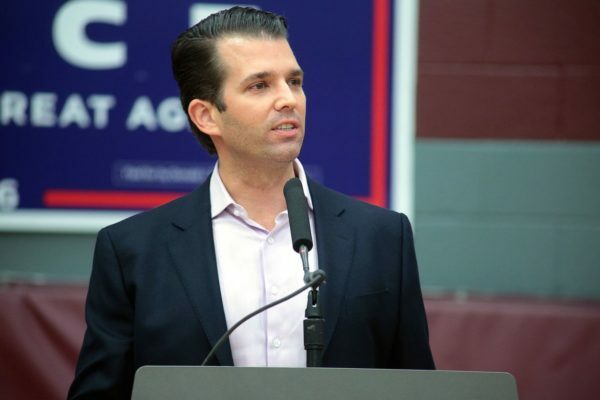 Donald Trump Jr. has released an email chain showing he was offered “sensitive” information on Hillary Clinton by a Russian national. Rob Goldstone is a publicist, Emin Agalarov is an Azerbaijani businessman and singer-songwriter. Aras Agalarov is Emin’s father and an Azerbaijani-Russian businessman and public figure. The Crown prosecutor of Russia met with his father Aras this morning and in their meeting offered to provide the Trump campaign with some official documents and information that would incriminate Hillary and her dealings with Russia and be very useful to your father. Thanks Rob I appreciate that,. I am on the road at the moment but perhaps I just speak to Emin first. Seems we have some time and if it’s what you say I love it especially later in the summers. Could we do a call first thing next week when I am back? Perfect… I won’t sit in on the meeting, but will bring them at 3pm and introduce you etc. I will send the names of the two people with you for security when I have them later today. Would it be possible to move tomorrow meeting at 4pm as the Russian attorney is in court until 3 i was just informed.